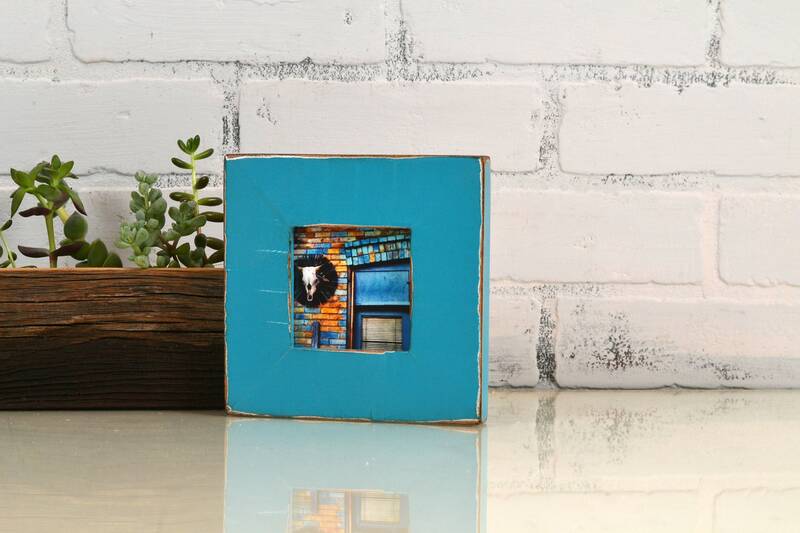 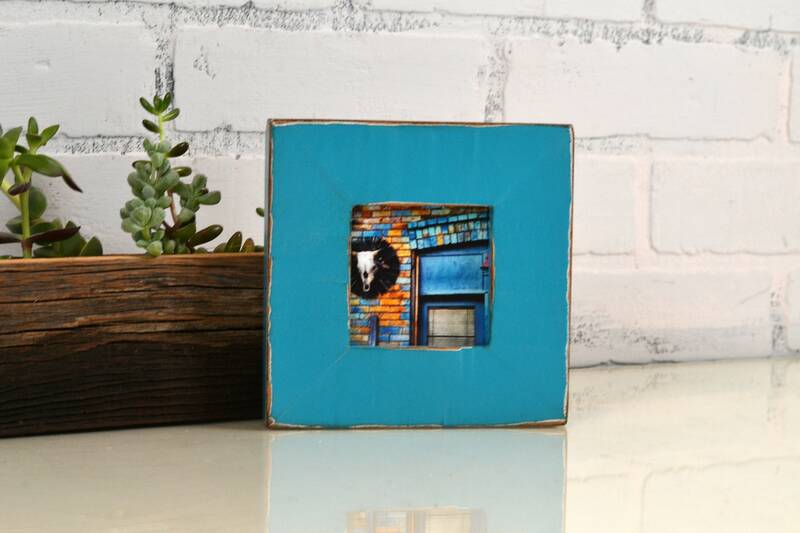 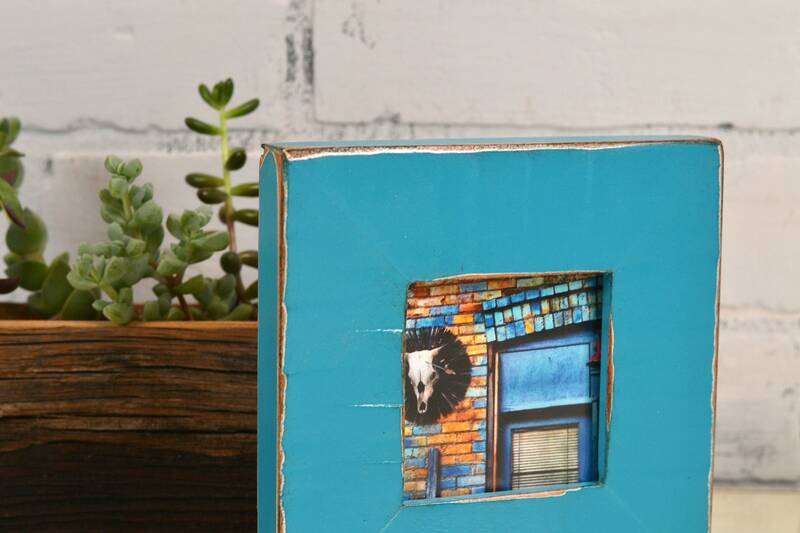 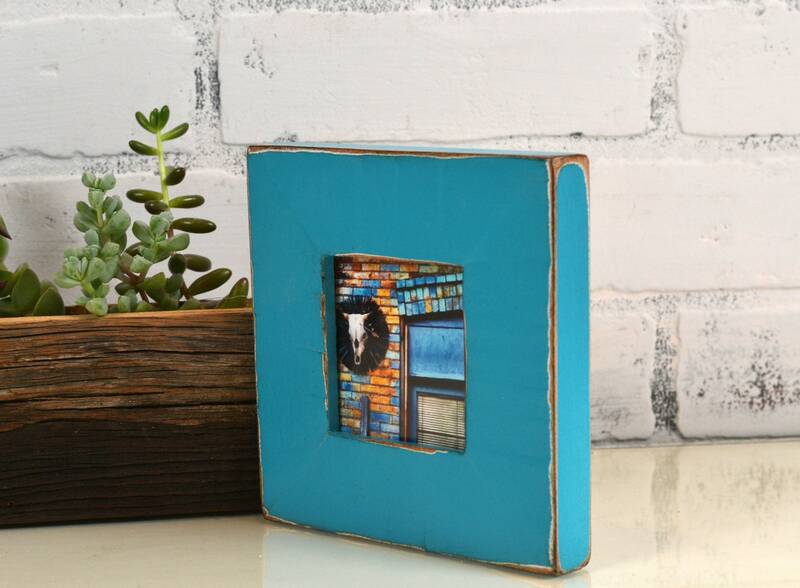 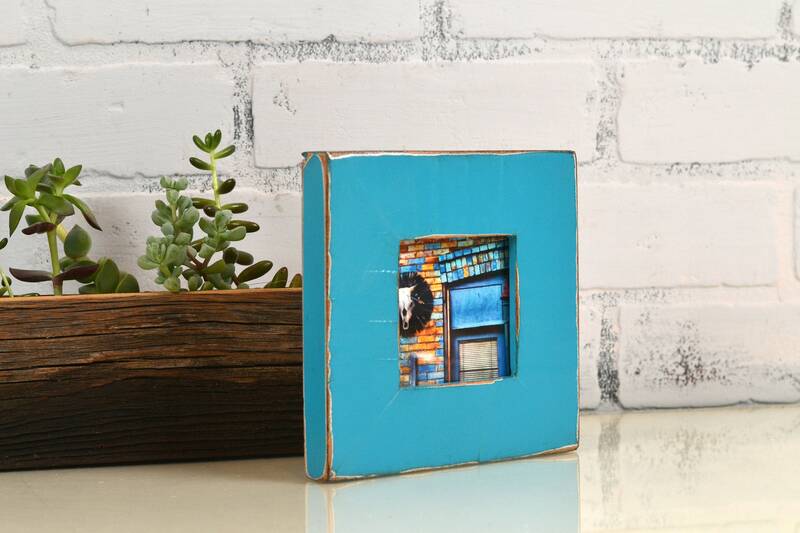 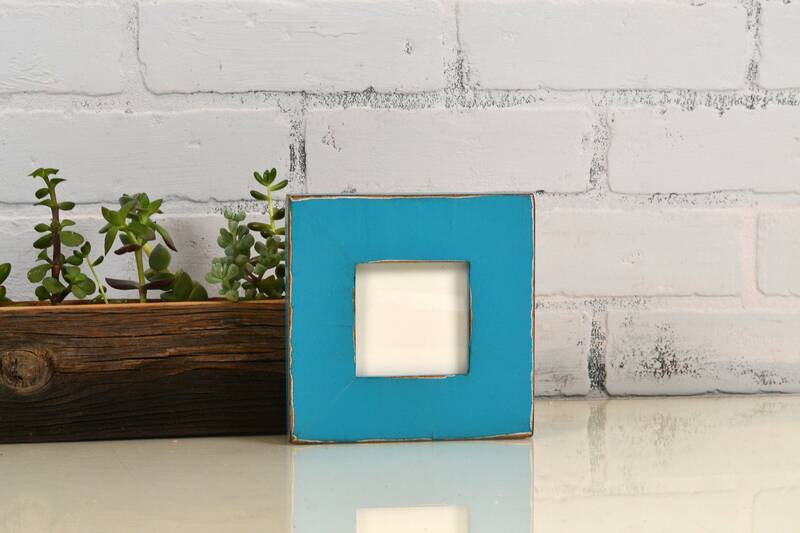 Textured, solid alder ready-made 3 x 3" picture frame in slightly distressed turquoise painted finish - Great for framing your Instagram prints. 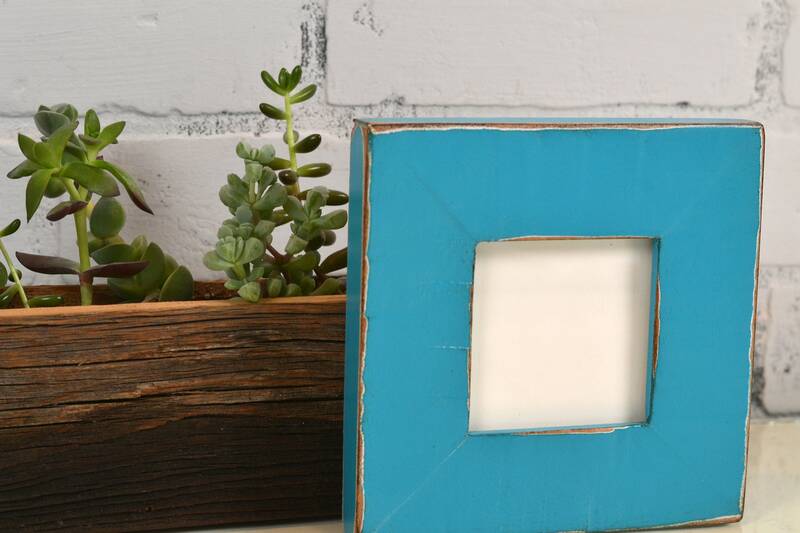 This frame is already built and will ship out right away. 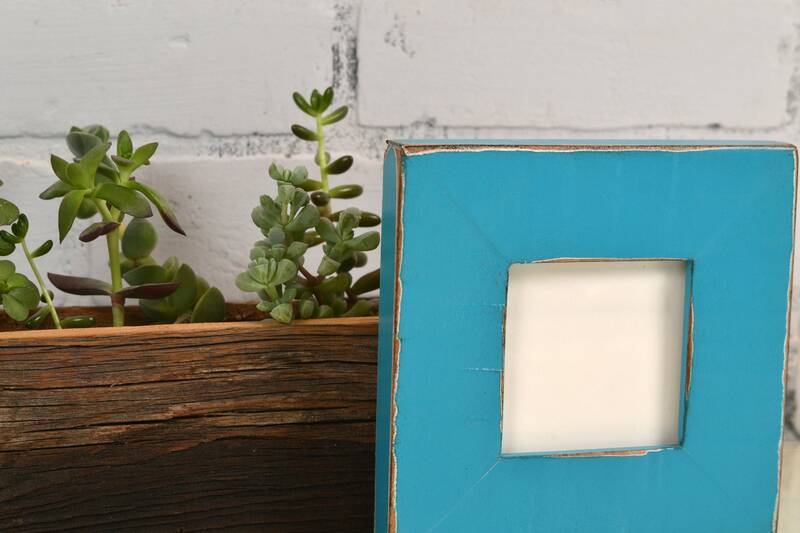 We can usually ship same day or next day, depending on our current order volume.